SCX Special Projects has designed and engineered a world-first dividing retractable pitch for Premier League football club Tottenham Hotspur. 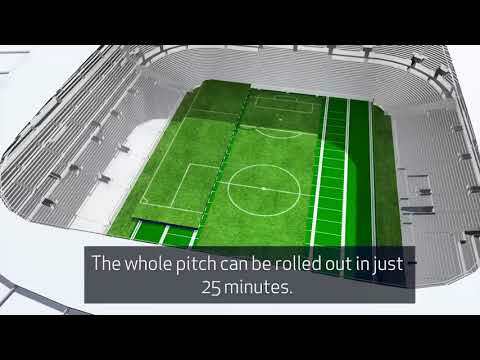 The real turf pitch rolls into and out of the stadium in three sections, each weighing more than 3,000 tonnes. Video uploaded on 11/09/2017 08:58am.